 Skellington Manor Event Center is available for private and public events including wedding receptions, class reunions, private/corporate parties, proms and trade shows. Our goal is to help make your event extraordinary. We pride ourselves in hosting one celebration at a time so you can relax and have fun while we handle the details. This beautiful 4000 sq ft banquet hall with 20ft ceilings, hardwood floors and vintage décor can accommodate up to 300. Our spacious marble foyer is a perfect accent for receiving guests. * NOTE – we require the full rental rate signing fee to hold a requested date. Want to have wedding ceremony and reception same location/same day? – add an additional $200 for alternate setup fee. We take care of the set up and cleanup. You do the decorating. The facility is available the day of the event from 8am until 1am when our bar closes. Talk with one of our coordinators if you are interested in securing the day prior for decorating. Note* Guest tablecloths and napkins are the responsibility of the rental party. Check our preferred vendor list for great local options. CATERING – Bridges Catering is our exclusive caterer on ALL food brought into the Manor with the exception of cake, mints, nuts, chips,candy and pretzels, etc. Please contact Bridges coordinators directly for pricing. They have some exceptional pricing for our facility. You can reach Mary Jo @ 309-794-0730 for more info. SKELLINGTON MANOR BAR – ALL alcohol and soft drinks must be purchased through Skellington Manor, no exceptions. We are a full service bar with a nice selection of beers, wines and liquors – pricing available upon request. We provide bartenders for events at no additional charge providing bar sales are over $300.00. A 20% gratuity will be added to all hosted bars. DAMAGE DEPOSIT – A $250.00 refundable damage deposit is required prior to the event to cover any excessive cleanup or malicious damages to the facility created by yourself, your guests or the vendors you hire. All of your contract vendors including DJ, photographers, cake, florist, wedding coordinators need to be licensed and insured to reduce any liability you would incur for damage they may cause.